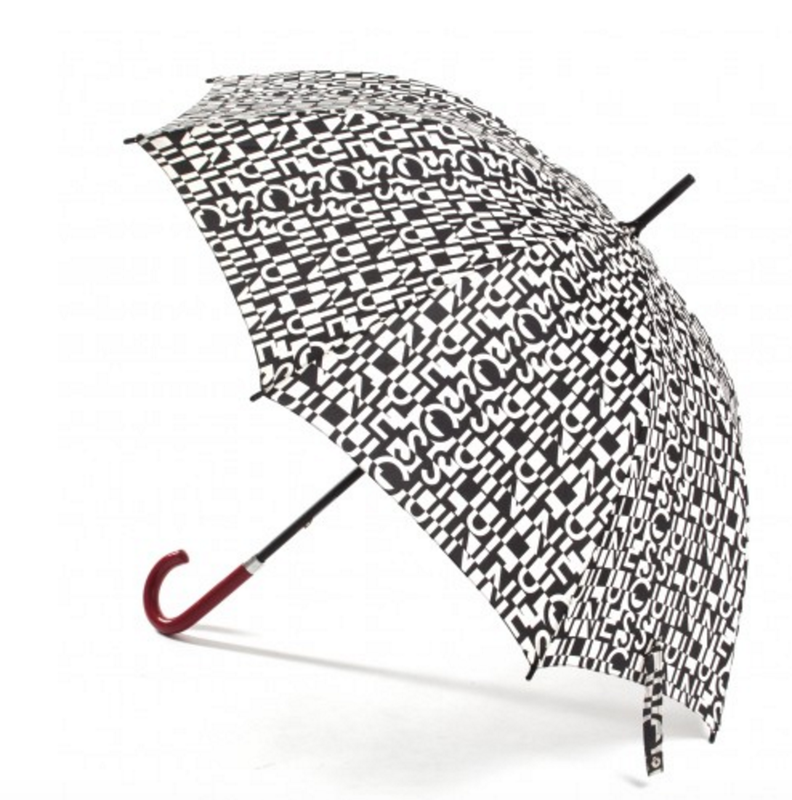 Shield yourself in true style this summer when the summer showers creep up on you with these top 5 pynck picks from Lulu Guinness. As it is widely accepted, there is no true British summer without a number of downpours, so an umbrella is an obvious staple throughout the summer months. 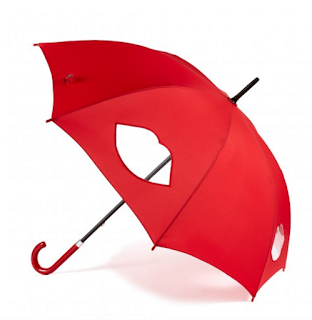 But why settle for a boring bog standard umbrella? Lulu Guinness have a few beautiful designs to compliment any outfit to keep you looking put together, stylish and of course, dry! Here our Pynck’s top five picks from the Lulu Guinness collection. 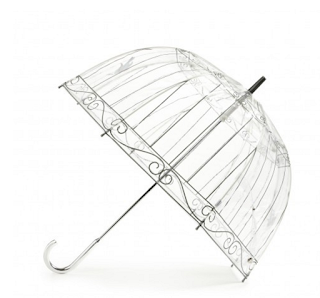 We love this umbrella as it is clear and therefore will compliment any colour palette and is very versatile and wearable. However, it is not just your standard clear umbrella, there is a beautiful birdcage detailing which adds interest and makes it a very special piece to wear. 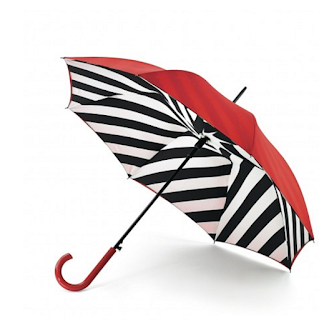 This Bloomsbury umbrella is another interesting piece to keep you dry this summer with it’s beautiful Lulu Guinness red on the outside of the umbrella and graphic monochromatic strip print on the inside. Pair with a neutral or monochromatic look to add a splash of colour or team with red accessories to create a real fashion statement. Mixing the first pick with the second, this beautiful red cut out number provides little peepholes so that you can still see and shield at the same time. Similarly, pair with neutrals or match up to create a well put together look focusing on the bold red. 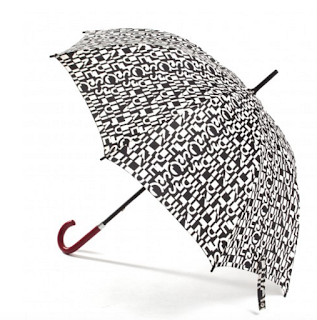 For something with more of a print, Lulu Guinness have this beautiful monochromatic Kensington umbrella. Pair up with almost anything with it’s monochromatic colour palette, to create interest with it’s graphic print. For those ladies wishing for a compact umbrella, try this dainty little umbrella with Lulu Guinness lipstick print. 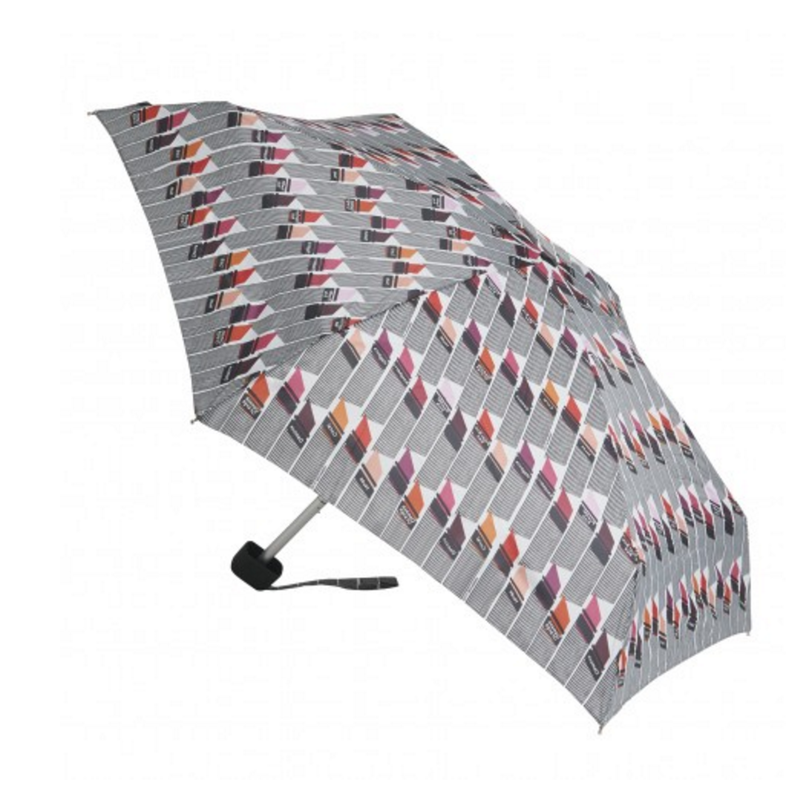 Still mostly neutral, therefore versatile, the lipstick print includes a variety of different colours to add a real colour pop and brighten up any rainy day.